Chester Times, April 17, 1916. The April 17, 1916 Chester Times carried a report of a horticultural exhibit at Bickmore Farms where Milton H. Bickley had a large nursery operation on his property at Palmer’s Corner (the corner of Providence and Rose Valley Roads). The flower show became an annual event to which the public was invited every year on Palm Sunday. Milton Horace Bickley owned, along with his father, a drug store at 4th and Market Streets in Chester. He purchased the 102-acre Cedar Lane Farm from James Miller in 1913 and called it Bickmore; a combination of his last name and his father, Mortimore Bickley’s first name. There, he raised a variety of flowers in 19 large greenhouses (300′ x 75′). There was a 75′ smokestack for the furnace used to heat the greenhouses. 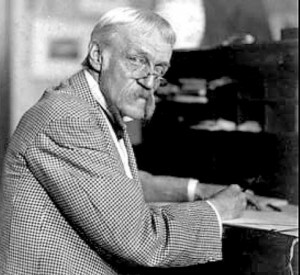 Milton Bickley died in 1937. In 1944, W. J. Messmer, a Chester florist, purchased the Bickmore nursery on the south side of Rose Valley Road. The purchase included 60,000 square feet of glass-enclosed greenhouses. By 1954, the 15 acre site had been purchased by the Wallingford Development Company. When the nursery buildings were razed to make way for 22 houses, it took two blasts of dynamite to level the smokestack. The neighborhood was named Bickmore Hills. The first of the split level houses were completed by July and offered for sale at $15,590. Have you happened upon the ruins of an old fountain and steps while walking along the Leiper Smedley Trail? Have you wandered the Swarthmore College woods and wondered about the trees and flowers you saw? Mike Rolli, of the Crum Woods Restoration project at the College, is a graduate of Longwood Gardens’ horicultural program and has done much research into the historic significance of Crum Woods. He’ll talk about the former Oak Knoll estate (which was razed to make way for the Blue Route) and its formal gardens. And, he’ll teach us about the diverse ecosystem that’s right under our noses in Crum Woods, one of the last remaining forested areas in Delaware County. Roughly 3.5 miles of walking trails extend over more than two hundred acres. Click this link for an excellent map of Crum Woods Trails. The woods are open to visitors from sunup to sundown. Remember to “leave no trace” and keep four-legged companions on leash. The program, presented by the Nether Providence Historical Society, is free and open to the public. Elizabeth Beatty, Executive Director of National Historic Landmark Fort Mifflin will talk about the fort; one of the only intact Revolutionary War battlefields and the only fort in Philadelphia. In the fall of 1777 approximately 200 men were garrisoned at what is now known as Fort Mifflin, charged with the duty of holding the British off “to the last extremity” so that Washington and his exhausted army could successfully move into winter quarters. During the Civil War, Ft. Mifflin served as a military prison. During WW I and II, it was pressed into duty as a Naval Ammunition Depot. Come, learn about the interesting history of the Fort That Saved America. Wednesday, June 10, 2015 at 7:30 pm at The Helen Kate Furness Free Library, 100 North Providence Road in Wallingford. 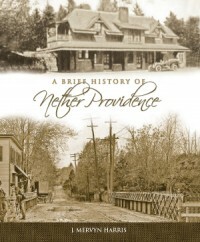 The program, sponsored by Nether Providence Historical Society, is free and open to the public. Held in Fairmount Park, along the Schuylkill, the International Exhibition of 1876 was the first official World’s Fair in the United States. Historical researcher Mary Anne Eves will share photos of Memorial Hall and the many other buildings constructed for the fair. She’ll talk about this celebration of the 100th anniversary of the signing of the Declaration of Independence which also celebrated America’s growing industrial prowess.